Sometimes people will remark to me that I must be very good at the game Pictionary, but the truth is, I’m not very good at it. I get caught up in the detail and I like to take my time when drawing. Nevertheless, I do love Pictionary, and love it even more when I win. 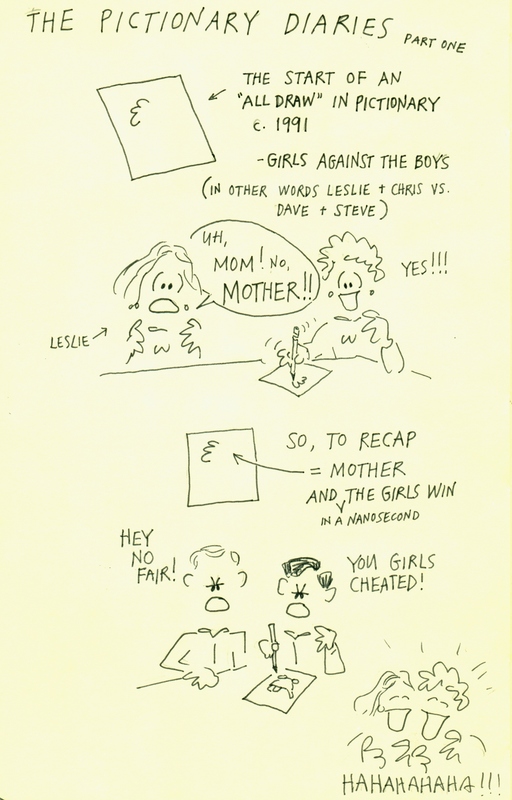 This entry recalls a particularly memorable game of Girls Against the Boys with my sister Leslie playing against my brother Steve and husband Dave. 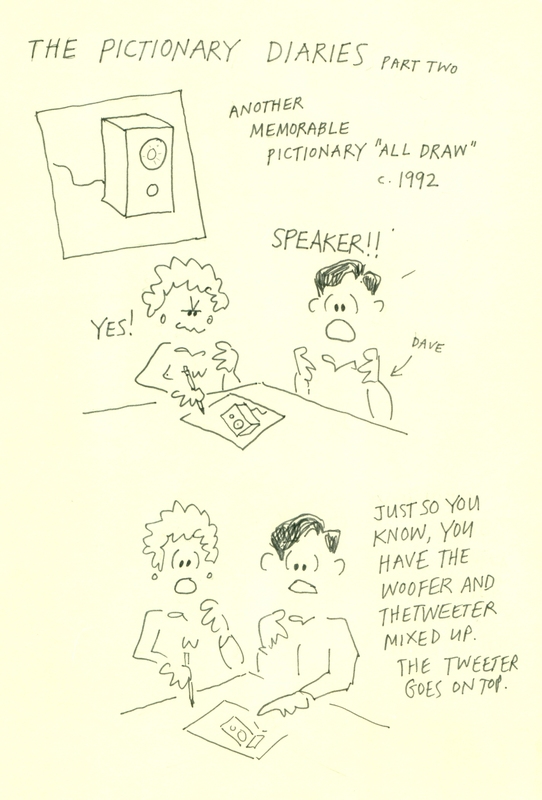 I lucked out in drawing a word that happens to be the subject of many of my cartoons — my mother. Below is another memorable All Draw that we won. I haven’t mixed up the woofer and tweeter ever again.